Countdown date - Select countdown date. Offset - Set time offset. To set time offset. Visit: Time and date and enter your city. Than look for Current Offset. Date text singular - Set singular date text. Date text plural - Set plural date text. Date number font - Date numbers font color family and metrics. Date text font - Date text font color family and metrics. Show/hide elements - Choose what date elements to show or hide. Date adjustments - Choose date number position and adjust vertical alignment. Spacer settings - Spacer is located between the date boxes. You can also add dash or colon as separator. 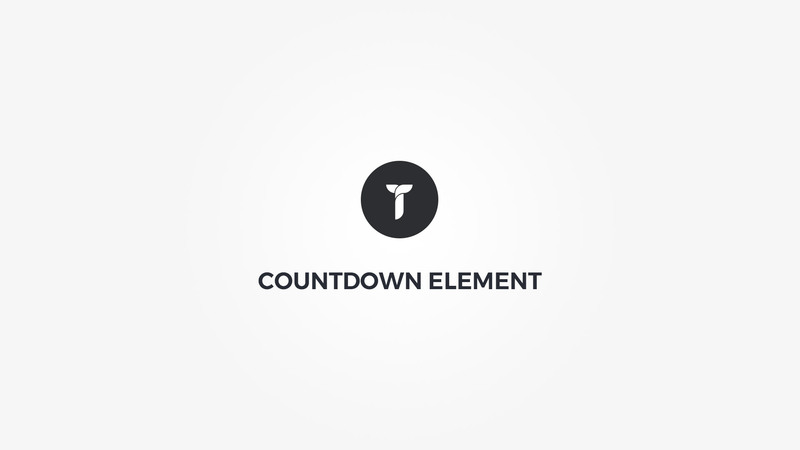 Countdown holder - Adjust .thz-countdown-holder box style. Countdown - Adjust .thz-countdown box style. Date box - Adjust .thz-cd-cell box style. Numbers holder - Adjust .thz-cd-numbers box style. Text holder - Adjust .thz-cd-text box style.